If you have not seen this today, President Obama decided after five years to visit Israel. It is no secret that he despises that country and all they stand for in the Middle East but did you see what happened to his ride? Some Secret Serviceman in mistook gasoline for diesel and filled that oil squeezer with gasoline. At least that is what we are being told. Needless to say, “The Beast” would not start and they had to call for a tow. 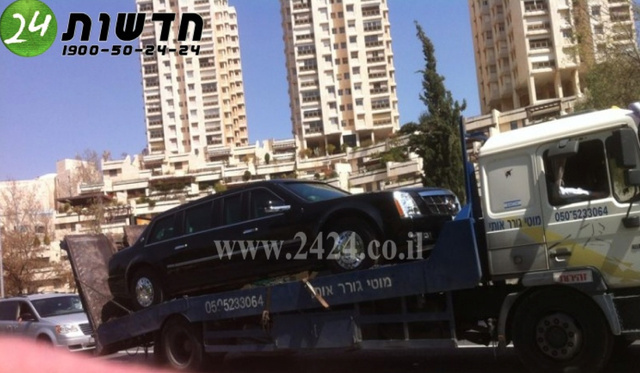 How humiliating is it for the president’s limousine to be toted down a busy street in the middle east on the back of a flatbed wrecker? All I can say is, “Wow”. So that prompted me to wonder about all the secrets that could be compromised if the car was inspected by the wrong person. I am sure the Secret Service is all over the situation but with their record lately, who knows what could happen. The car can run on its rims, has a secret bullet proof glass, has eight inch thick armored doors, a supply of the president’s blood type in the trunk, a padded fuel tank, night vision, tear gas cannons, air tight and poison gas resistant, and even a shotgun in the door. 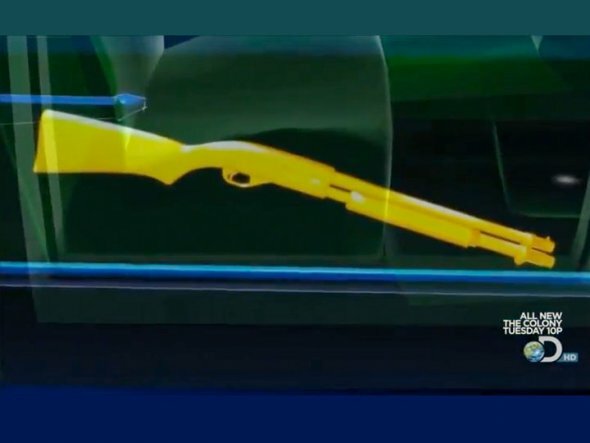 I was wondering about this shotgun and exactly what the protocol would be to use it. What sort of tactics would be employed should a situation arise where the president felt threatened? Recently, I think the vice president, ol’ Joe, may have spilled the beans on this. This is what he said: “If you want to protect yourself, get a double-barrel shotgun, just fire two blasts outside the house.” In this case, if the president feels threatened inside his car, just grab that shotgun in the door of the limo, open the armored door, and fire two blasts and that will take care of the problem. I think Joe revealed some national secrets here. Now you have it, you know what will happen if the president’s limousine is ever threatened or attacked. This entry was posted in Firearms and Self Defense, Law Abiding Citizens, Politics and Economy, Wade's Musings and tagged firearms, guns, politics. Bookmark the permalink.